Stylish ceiling light fitting for your home. Let the glow of an Edison bulb shine through the clear glass shade for that industrial look. Illuminate any room in your home with this beautiful Briana Table Lamp. This elegant light will create an inviting ambiance to your living space when lit. Illuminate any room in your home with this classic timeless Hallie table lamp. This elegant light will create an inviting ambiance to your living space when lit. Illuminate any room in your home with this beautiful Rachael Table Lamp. This elegant light will create an inviting ambiance to your living space when lit. Illuminate any room in your home with this beautiful Vercana Table Lamp. This elegant light will create an inviting ambiance to your living space when lit. Illuminate any room in your home with this beautiful Yerevan Table Lamp. This elegant light will create an inviting ambiance to your living space when lit. 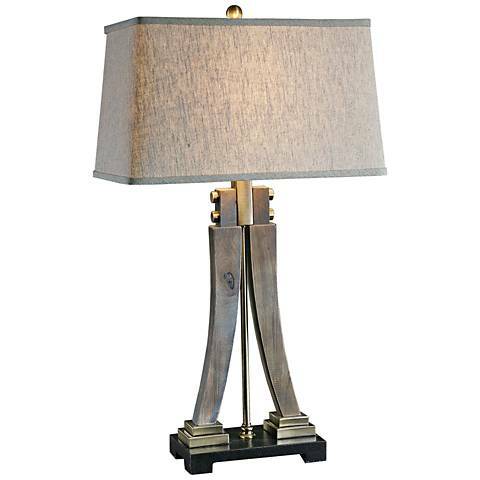 Dimensions : Table Lamp (inc Shade) H 31" Shade - H 11" x W 10" x D 18"